This entry was posted in Home and tagged cartridge, diy, moen, plumbing by lespedeza. Bookmark the permalink. 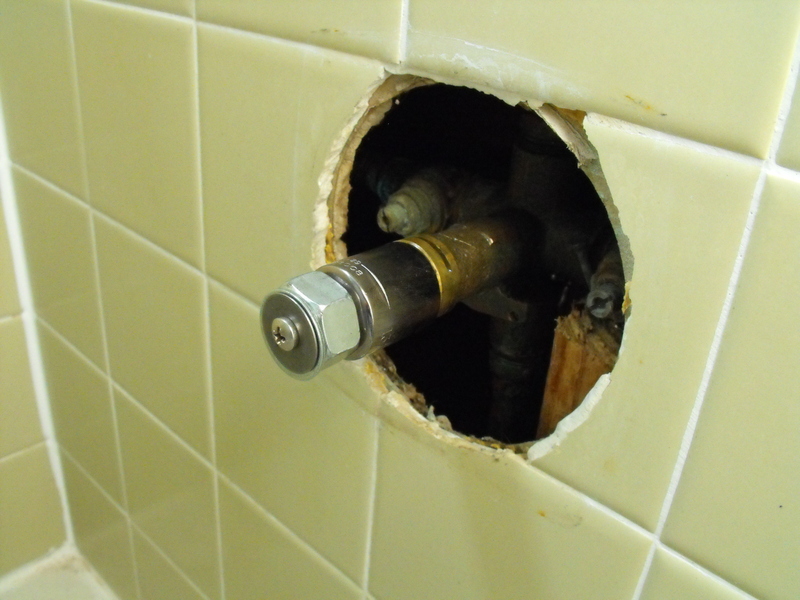 Use a 1/2″ drive socket (shallow is fine) of if I remember correctly a 13/16″ size. A longer enough screw of proper thread size, a couple of fender washers and a nut. 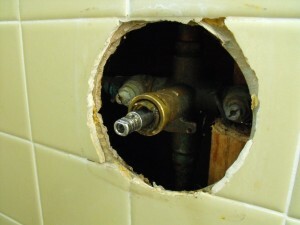 Put nut on screw far enough, add washers and attack screw to stem through socket. 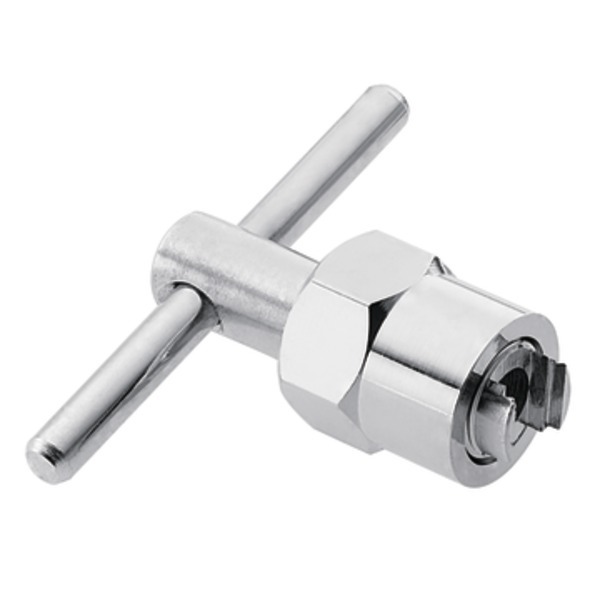 Turn nut while holding screw from turning and it pulls cartridge out easily. Clean housing out to be sure no chinks of o-rings remain and reassemble. I went through the SAME headache as you !! Over three hours I tried about 10 times to pull out the cartridge from the bathroom sink. I started with pliers ~ they slipped and chopped into my left index finger ~ then I switched to vice-grips, but to no avail. BUT: I didn’t have a replacement, just a repair kit w/ some washers: It did no good ! Putting it back after replacing the washers was just as hard as when first trying to remove it !!! And now the water is coming out even worse ! I’ve just ordered a new cartridge & will let you know in 2-4 days how THAT goes……..
I’m glad I stumbled upon your site !!!! This morning @ 0830 I was going down to the basement and the chief engineer just happened to be standing there when I got off the elevator: He got on the radio to one of his guys and called for the tool before we even made eye contact ! 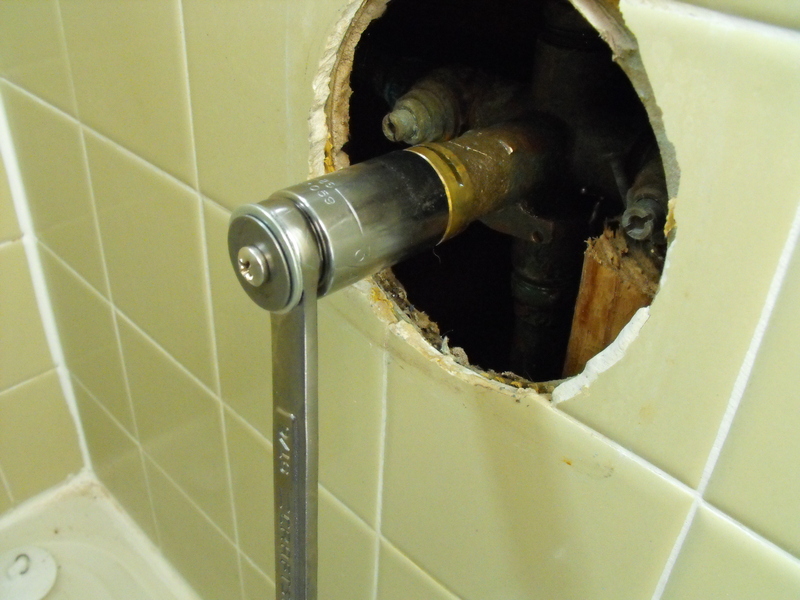 W/in 15 minutes I was returning the tool back to the front desk…. SURPRISINGLY, I even installed the cartridge correctly: IE: Hot was on the left & cold was on the right ~~ I didn’t have to open it all up again & twist it 180 degrees !!! All to resolve a continual 5 second drip ! ! It’s OVER ! 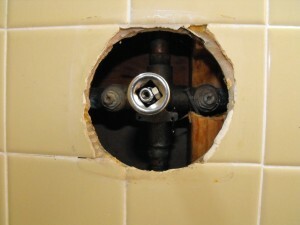 Had the exact same issue with my valve. 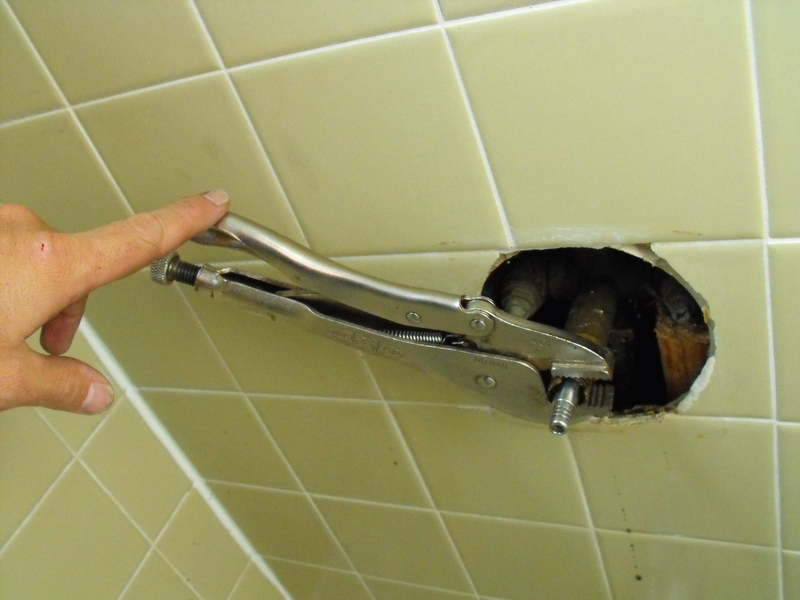 I was yanking with with vice grips to no avail. I found a screw the same thread size as the one the holds the handle on so I could screw it in as far as necessary and the valve came out easily once I put the socket on and a washer with a hold smaller than the screw head. I have 2 tools for extraction, the usual puller & another in case that fails. 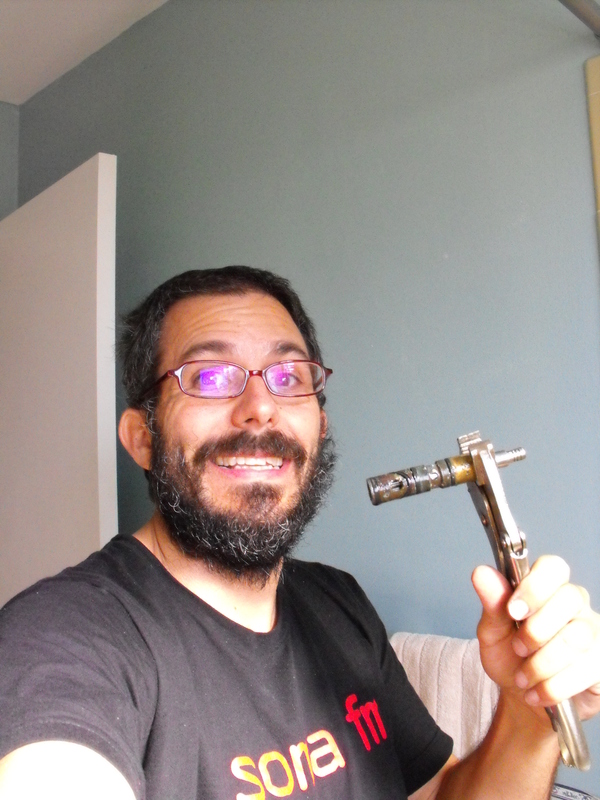 Before re-installing the new cartridge, I clean the bore with a clean tooth brush, rinse & dry & then lightly lube the bore with plumbers grease. Next time will be a breeze & if you have to rotate the cartridge much easier. Don’t use any petroleum based grease. It’ll eat up the seals. awesome tip my man. did the trick and saved me from hitting myself in the head with the vise grips. Amazing effort! Thank you. After reading this I started thinking and I found some plyers in my bag with small enough handles to use the handle part of the plyers as the removal tool. After spinning cartridge around a few times I used them the regular way to pull it out. It took less than a minute. Great video. Got free part from Moen, lifetime (don’t know whose). Couldn’t get old one out. Was going your way until I got bigger vice grip and wiggled and jumped on for 10 minutes, then came out. Good ingenuity on your part. Have bookmarked for next time.